I read Cloud Atlas by David Mitchell last year and it quickly became one of my favourite books for the skill with which it was written, the hugeness of all that it managed to cover, the way Mitchell managed to plunge in and out of different genres, times, places and people yet still manage to cover each of them with sensitivity, deftness, and credibility. 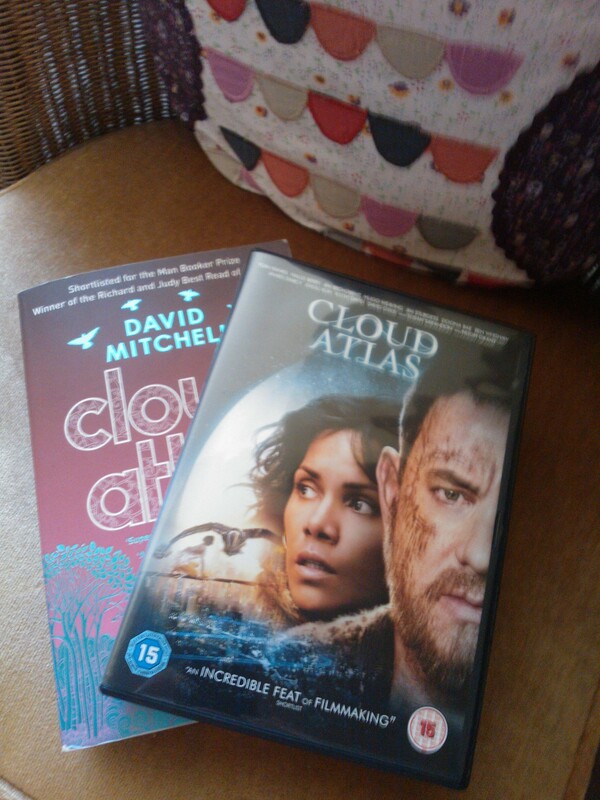 Cloud Atlas manages to tell a view of the human story, covering themes like the abuse of power, slavery, freedom, and the soul, and I was so fascinated by the way Mitchell had knit all of this together. As you can imagine, I was so excited to see the film, which I finally watched last week! Although it lacks some of the subtlety and detail of the book, the film does manage to convey some of the key themes and has an epic, time-spanning feel about it. The stories are simplified and the ending a little clicheed, but still we were left with a sense of the endless connections between people through time and around the world – and the necessity of fighting for freedom, justice and love. Although I do not subscribe to the idea that souls move from one life to another, I do firmly believe in the existence of the soul, and the importance of recognising and nurturing people’s spirituality as part of what makes us human. I think we see each person’s soul in their personality, their imagination, their homes, their dreams and aspirations, but perhaps most of all in their connections with the world around them. I think that life is largely about relationships – with ourselves, with the natural world, with other people, with God – so I was glad that both the book and the film challenged us to think about these things. I believe that once we start to find awareness of our spirituality, we find increased respect for other people’s souls, all being unique, and so we are more moved to confront abuses of power, to stand up for those we love, and to help to pull others through life’s struggles. In these actions of companionship and compassion, we strengthen our connections and engage in the great adventure of life. Although this is perhaps one of my wordier reflections, the way these thoughts might work themselves out in day-to-day life ought to be quite simple – for example by offering acts of kindness and hope to people we come across, and supporting charities in their work across the globe. What kind of a world will future generations experience? Will there always be abuse and injustice? Perhaps there will be, but I like to think that there will also always be courage and love to contend with these. The more people who act out compassion, the more people will be impacted by compassion, and the more people who are impacted by it, the more people will show it, and so on. Let’s be part of that cycle.